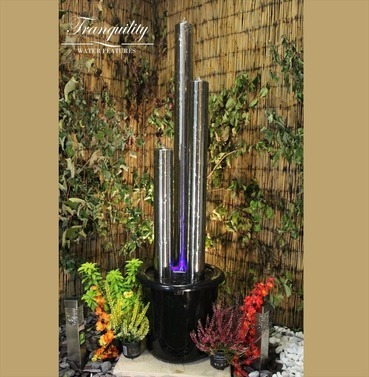 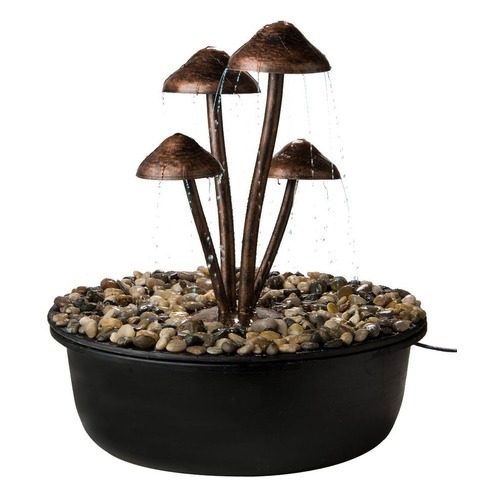 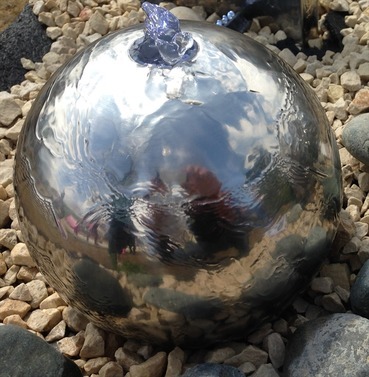 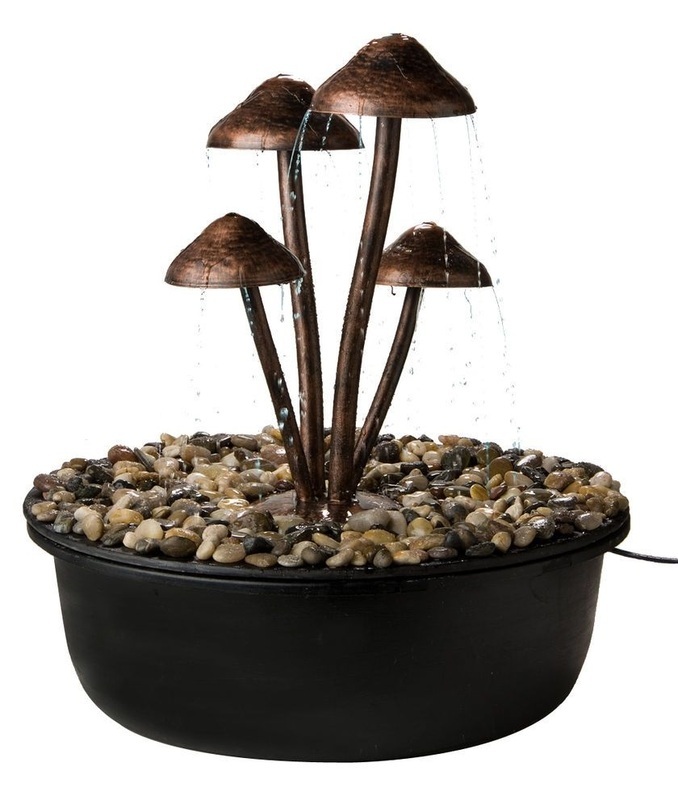 This is a lovely water feature with it unusual design of Copper effect Mushrooms. 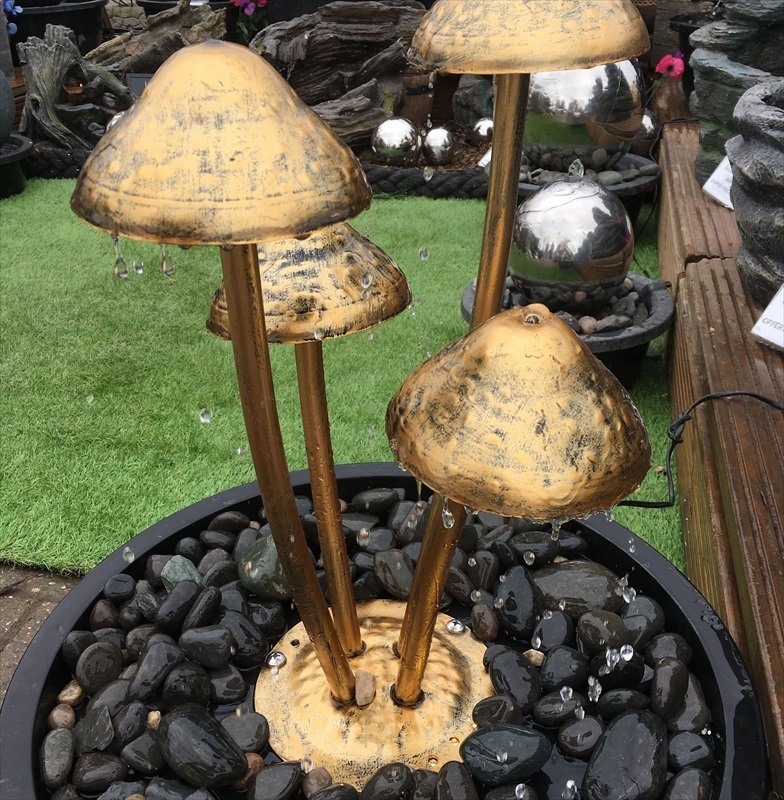 It will certainly make a talking point and feature in any garden. 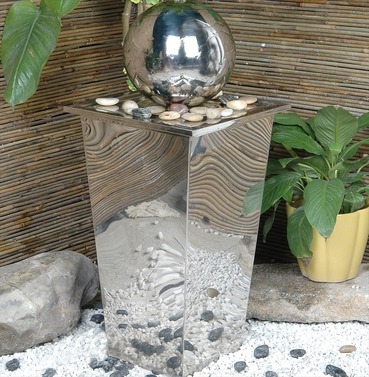 For the mains power kit option you will be supplied with the manufacture suggested kit to power your water feature, it will consist of both a transformer and a pump. 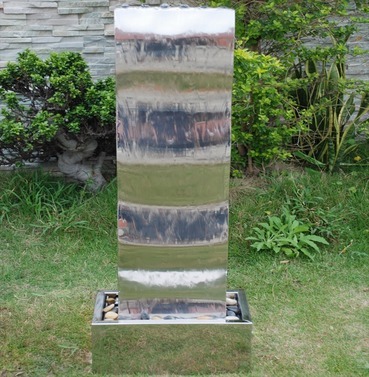 It will be supplied with 9m of low voltage 12v cable & a 3 pin sealed plug unit for 240v operation.